Colors' long runner Udaan is certainly going through major changes lately where the viewers were in store for a major surprise recently when it was revealed that Vidhi Pandya aka Imli will bid adieu to the show. 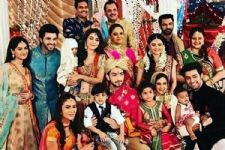 And it seems the shock wagon has already begun as now, none other than the leading man Vijayendra Kumeria himself will be quitting the show too. Yes! That's right. According to reports, the show is all set to undergo a major development where it will enable a leap of 10 years. It is being said that post the leap, the show will see the focus shift to Anjor, he daughter of Suraj and Chakor (Meera Deosthale). 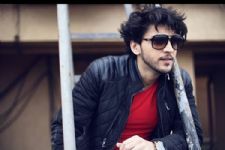 Initially, the plan was to ease out the current cast of the show but Vijayendra is certainly not going to be a part of the show soon and it is being said that he will be shooting his last tomorrow. Coming to Meera, the actress may continue to be a part of the show but there is no clarity about the same so far. Saddest news ever! NO Vijayendra Kumeria, NO Udaan! Thanks for Raghav and Ragkor, although maker never explored. Your an epitome of talent and dedication. Wish you a happy life and a long and successful career. Hope you come back with a new project soon. Why don't they just end the show?? It's unclear what's going on, all the best to Vijayendra Kumeria and Meera Deosthale they're very talented and hard working actors who deserve more appreciation and recognition. Meejay shouldn't accept turning into sideys in their own show. The problem in Udaan currently is the writing and not the characters and not Meejay who have been brilliant all through. Katrina Kaif Or Anushka Sharma, Who Slayed Their Sparkly Dress?